Hydroponic gardening is a great way to grow flowers, fruits, vegetables and herbs when traditional gardening techniques are not available. Fortunately, it is not as difficult to build a hydroponic garden and start planting as many gardeners believe. Hydroponics is a soilless growing technique that uses nutrient-rich water instead of dirt to sustain plants. While some plants can be grown directly in the water, a simple growing medium is usually used to provide good root support. Marbles, fired clay balls, coir and rockwool are popular options for hydroponics and allow moisture to better reach the roots. Gardening hydroponically has many benefits. Depending on the setup, it can take much less space than traditional gardening, and is low maintenance without the need for weeding or tilling. Hydroponically-grown foods can taste richer and more authentic, and this gardening technique is ideal for anyone with strong sensitivities to pesticides, herbicides or other chemicals, or just for monitoring exactly what goes into one's food. Building a hydroponic garden just takes a few simple steps. While there are kits and pre-assembled setups available, it's easy and less expensive to design the perfect hydroponic garden to meet your needs. There are many different ways to design a hydroponic garden, and no single method is right for every grower. Check out books, gardening websites or local resources to see different methods and decide which technique would work best for your garden. If possible, visit local hydroponic setups to see them in action and get tips and advice from experienced hydroponic gardeners. 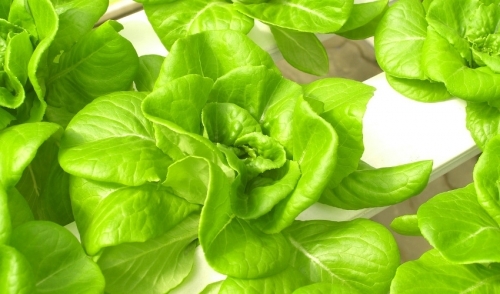 The size and setup of your hydroponic garden will vary depending on what you want to grow. Herbs and small plants, for example, need much less space than larger, spreading plants. Determine how much space your plants need and what their light requirements are to be sure your garden setup will be appropriate. Your base container will be the largest piece of your garden setup and will hold the nutrient-enriched water. It must also be sturdy enough to support the growing pots. A covered base is often preferred to minimize evaporation and reduce the need to continually refill the solution. A large plastic tub with a snug lid is an ideal choice. In addition to the garden base, you will need several other supplies for your garden. Mesh growing pots will hold the individual plants, and if you have opted for tall produce, you may need support stakes or a trellis-type system to accommodate them. If you are using hydroponics in the winter, supplemental lighting may be needed. Cut into the lid of your garden base to make holes where you will insert the growing pots. The holes should be large enough so the pots can be inserted easily, but they should fit snuggly to minimize the risk of falling out or increasing evaporation. After you have determined what plants you will grow, you need to properly mix a water solution to provide them adequate nutrition. A dilute fertilizer solution is appropriate, but be sure you have the proper fertilizer for your specific produce to avoid chemical burns or other damage to delicate plants. The amount of fertilizer or enrichment needed will also vary based on container size. Premixed solutions are also available. Seedlings should be gently rinsed before planting to remove as much dirt as possible from the roots. Trim any damaged roots at the same time, but take care not to prune too much or else the plant will be stressed and could grow poorly. Once they are rinsed, the bare-root seedlings are ready to be planted in the growing medium. Nestle them gently in the pots, settling them deep enough so the roots are fully covered. The pots should then be placed in the garden base so their bottoms reach the enriched water. The water will rise into the pots and moisten the roots through capillary action. Water will evaporate out of your garden base, and in time, the water level may sink so low that it no longer reaches the pots and plants' roots will dry out. If this happens, your entire crop could be lost. Check the base several times a week to ensure the water level is adequate. If you are using hydroponics indoors, you may want to rotate the garden periodically for even growing compared to nearby light sources, or it may be necessary to use supplemental grow lights for the best results. In no time, your hydroponic garden will produce a luxurious bounty of delicious produce, flowers or herbs. Harvest gently so the plants can continue to produce, and avoid disturbing foliage or roots as much as possible to keep the plants healthy. Be sure to share some produce with friends, family members, neighbors or coworkers, and share your tips for hydroponic gardening so more people can learn to enjoy it!